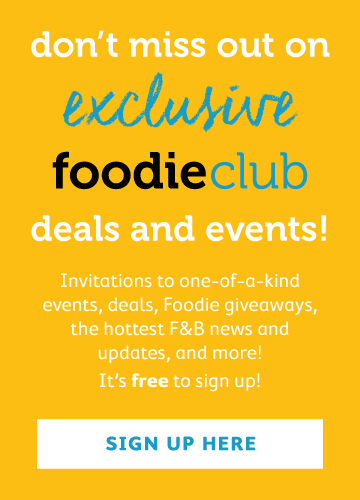 It seems like there’s always something new to try in Hong Kong’s F&B world, whether it’s a new opening, a new menu or even a new renovation. 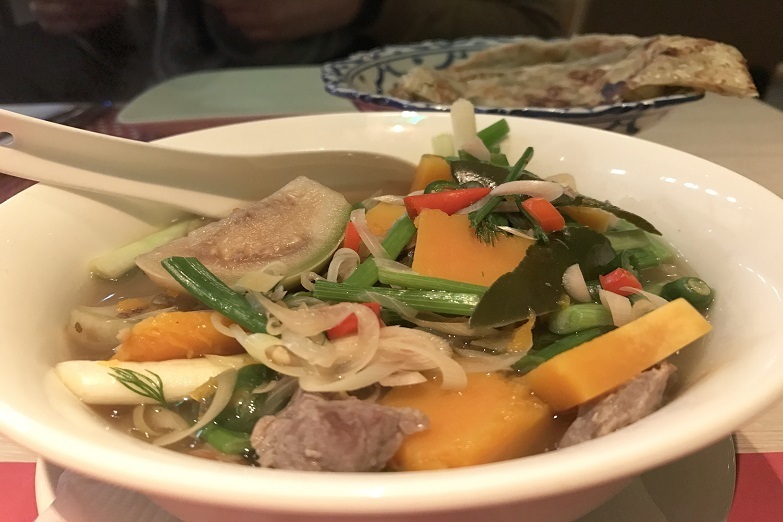 With Hollywood Road being one of the trendiest in the city, we’d walked past Thai restaurant Ayuthaiya (owned by Aqua Restaurant Group – who knew?) multiple times but had thought it was more of a bar with its deep red decor. 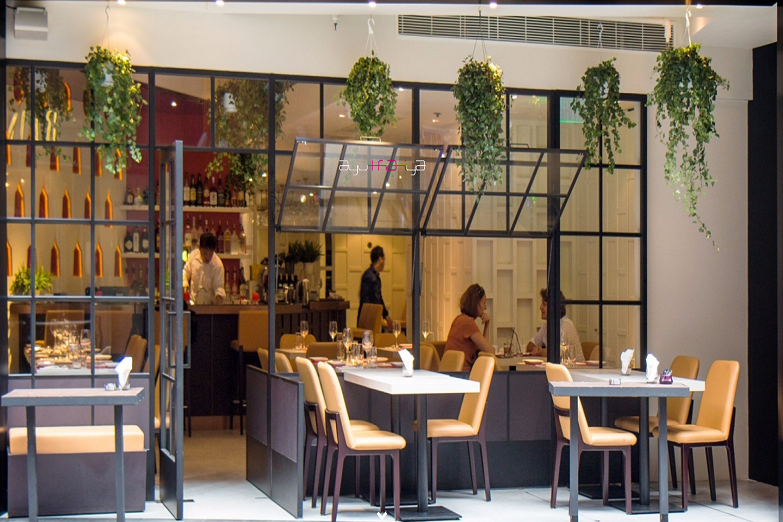 Ayuthaiya has recently been renovated, and its clean, bright ground floor and front patio are a welcoming spot to grab a bite. The plants and flowers placed tastefully throughout the restaurant are a nice touch too. There are many Thai restaurants around, but we were pleasantly surprised by the quality and depth of the menu. 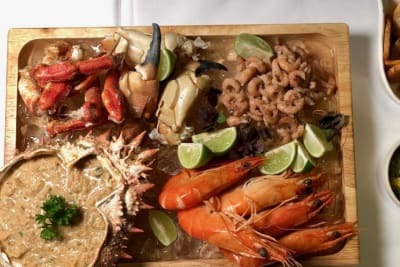 Pad Thai and green curry still make appearances, but there are plenty of lesser-known dishes from different regions of Thailand to try – perfect for those with an adventurous palate. 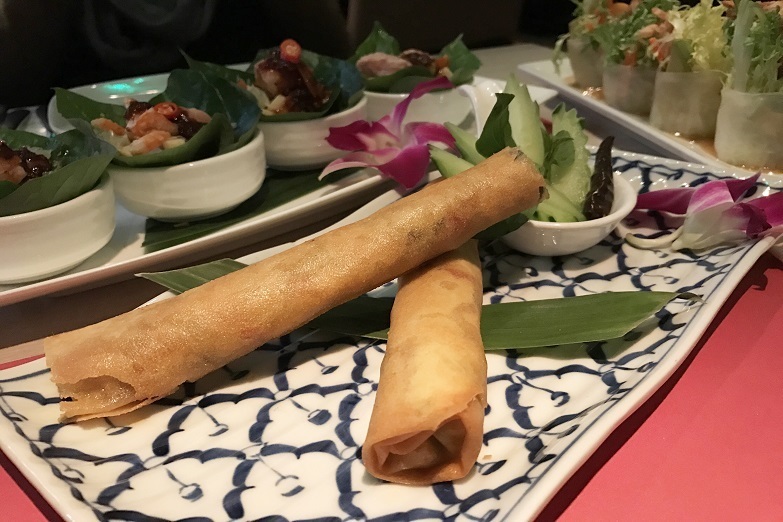 We started with the salmon miang kham ($85). 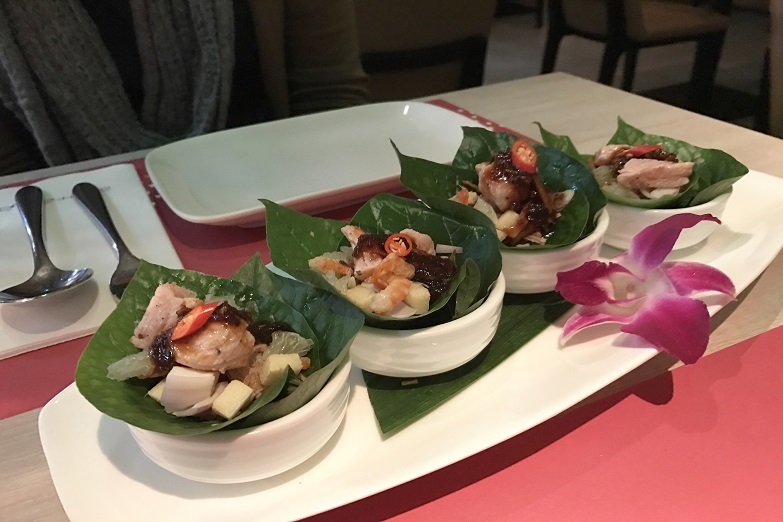 Fresh betel leaves were topped with diced salmon, raw onion, pomelo, anchovy, ginger and palm sugar sauce. 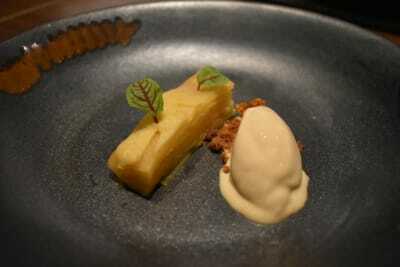 While a bit tricky to eat, the flavour rewards were worth the struggle. We also loved the por pia keaw wan ($108). These green curry chicken spring rolls in filo pastry were fantastic. We got all that great spicy, lemongrass, coconut, curry flavour in a crisp treat. 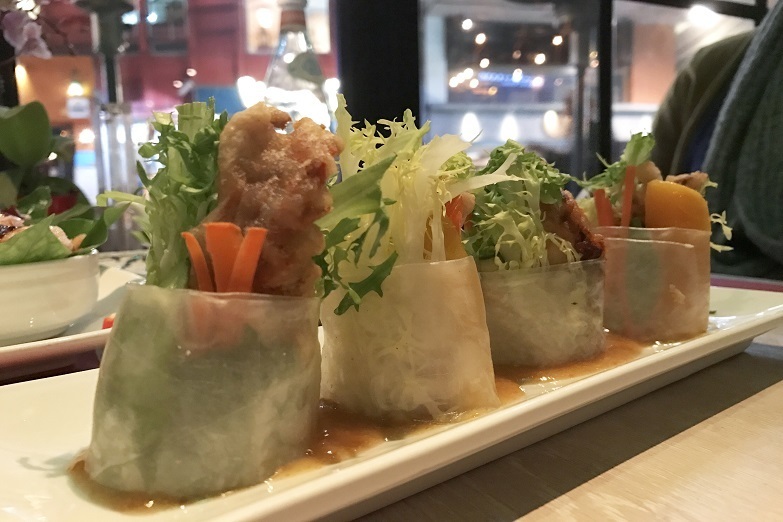 The por pia poo nim ($85), or soft-shell crab rice rolls, weren't bad, but we would have preferred our crab hot and crisp rather than cold and softened. The mango and ginger sauce was nice though. 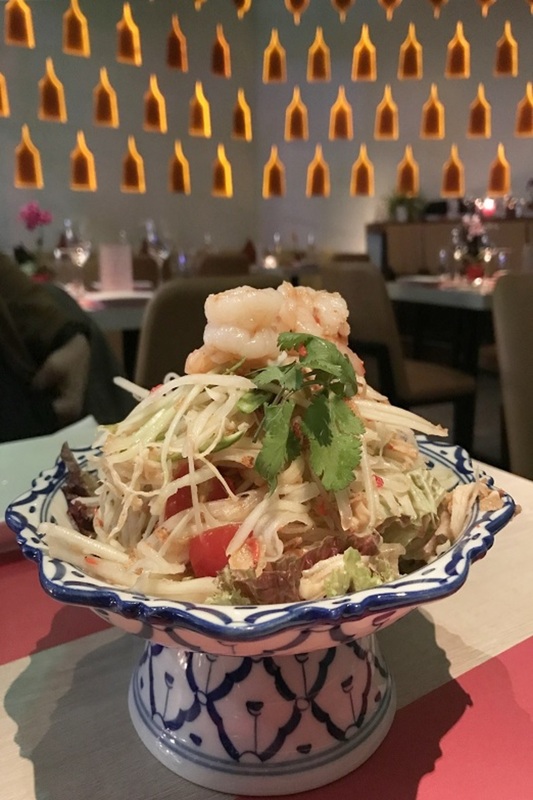 We can’t resist a fresh and crunchy papaya salad, and Ayuthaiya’s yum sam-o ($108) did not disappoint. The ingredients – shredded green papaya, pomelo, crunchy peanuts, cherry tomatoes, shrimp and a tangy but not too sweet fish sauce – were fresh and complemented each other well. And it was huge! A near perfect version, if you ask us. 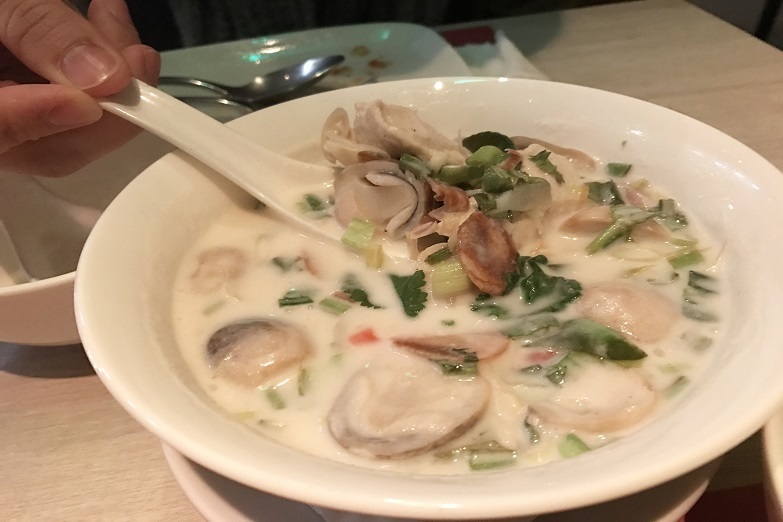 On a chilly evening, nothing hits the spot like a rich, spicy soup, so we were glad we had sprung for the tom kha gai ($85). 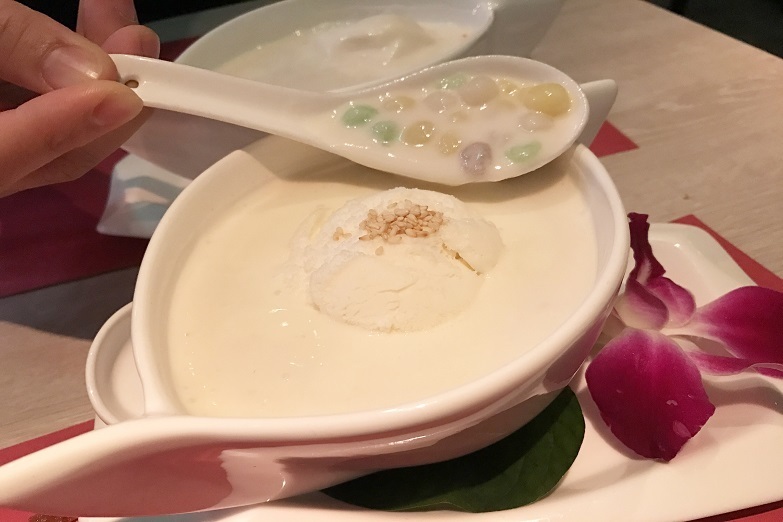 It was thick, like a drinking yoghurt for lack of a more eloquent description, and with some rice could have been a meal in itself. There was plenty of chicken, mushroom and onion to fill us, with lemongrass, Thai ginger and lime leaf to spice it up. 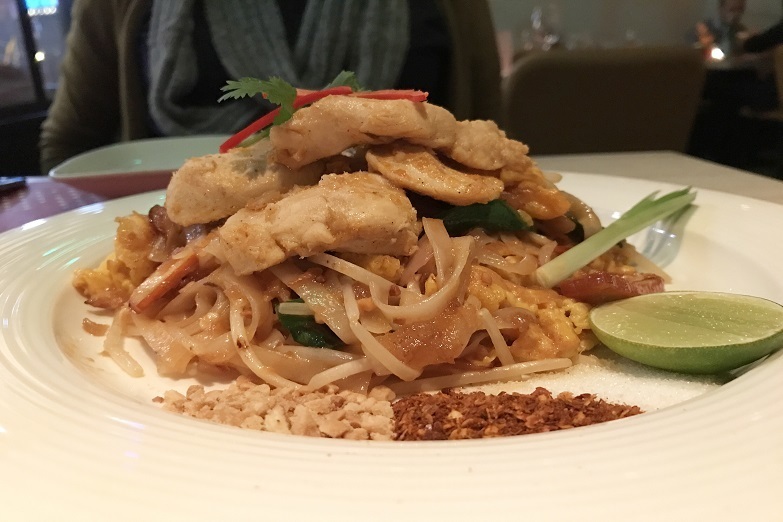 Perhaps ordering pad Thai ($135) isn’t the most adventurous of options, but we like trying variations all over the world. In our opinion, no two are alike – not even in Thailand. Personally, we like ours on the sweeter side and had no complaints about Ayuthaiya’s (for reference, we mixed in all the dried chilli powder, peanuts and sugar served with the dish before tasting). The final product was on the sweeter, oily side. But in our opinion, that’s what a good pad Thai is all about, with the sauce and oil completely coating the meat, egg, tofu and bean sprouts. There wasn’t a bland noodle in the house. At this point, we were so full we could barely move – and almost forgot we’d ordered a curry. We opted for the gang dang fak tong ($178) because its description sounded lush: 'a robust jungle curry from the Isaan province with Thai pumpkin, aubergine and your choice of sliced chicken or beef'. We opted for the beef. This broth-based curry from eastern Thailand would be perfect for those who want big flavours – chilli, lemongrass, spring onion, lime leaf – without the fat. Our meal ended on a satisfying note with the bua loi katee ($79). This concoction of tri-coloured dumplings in sweet coconut milk is a simple street food favourite in Thailand. We indulged one step further by adding a scoop of spicy ginger ice cream. We’ll be adding Ayuthaiya to our list of favourite Thai places in town. It's an affordable spot with great food and service, so it won’t be long before we’re back for the salmon or pad Thai. We also hear the khao soi, or fresh egg noodles in a rich northern Thai curry, is highly recommended.